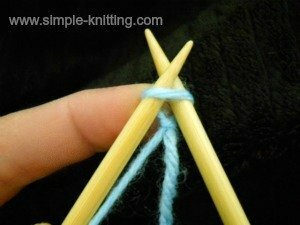 As you're learning to knit on knitting stitches this way you're also learning most of the steps for the knit stitch as well. 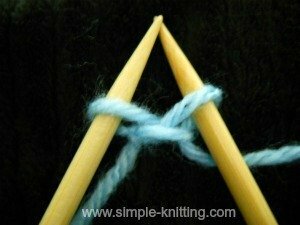 The only difference is that as you work this cast on you knit into the loop on your left needle in order to create a stitch and when you knit the knit stitch you drop the loop on the left needle because it has been worked. The two needle cast on creates two stitches out of one. This casting on method is one of my favorites I must admit, and I use this and the long tail cast on the most. 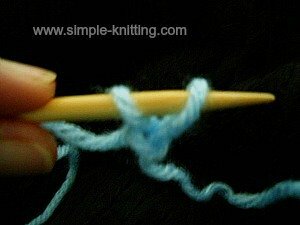 In order to start the knitted cast on you will need to make a slip knot. Insert your right needle into that first stitch (slip knot) from front to back. 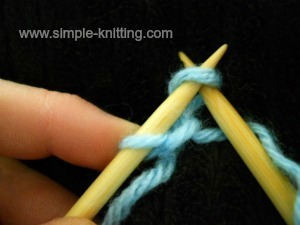 With your working yarn (ball end) wrap the yarn around the right needle. Snug it up a little but not too tight. 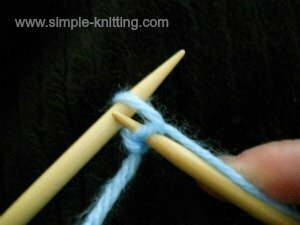 With the yarn still wrapped around your right needle slowly bring it through the loop on your left needle. There. You just created a new stitch on your right needle. Now all you are going to do is move the stitch on your right needle over to your left needle. So with your left needle just push it through the loop on your right needle from front to back and catch the stitch and slip it onto your left needle. There you have created two stitches out of one! And you have worked a two-needle cast on stitch! 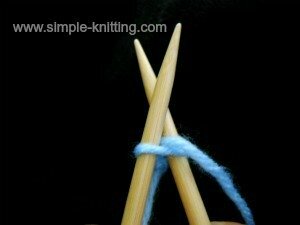 Now just continue casting on knitting stitches until you have the amount of stitches you need. 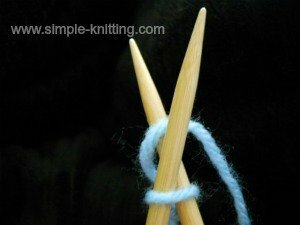 The following knitting videos show you how to cast on knitting with this method.